Congratulations to our winner Carmel S! Want to get your Christmas shopping all wrapped up in one fell swoop? Stay right where you are, because we have the competition for you! 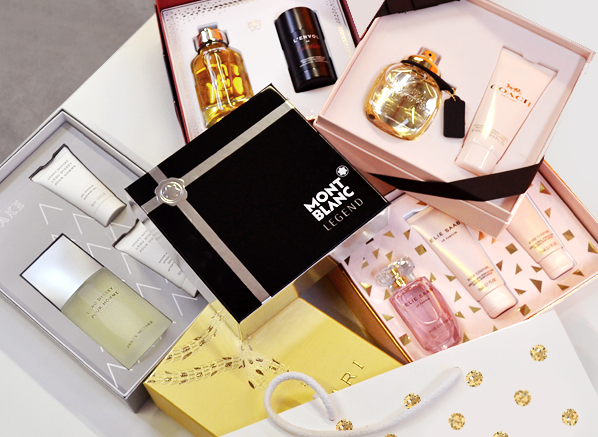 We’ve teamed up with our friends at Kenneth Green to offer one lucky person the ultimate Christmas fragrance hamper (worth RRP £340), containing luxury scents from all of your favourite luxury fragrance brands. With 3 gift sets for men and 3 for women, you can treat everyone on your list to a little something special for Christmas! All you have to do to enter is answer our question below, tell us a little bit about yourself, and you’ll be in with a chance. The competition will end on Sunday 18th December, and the winner will be announced on Monday 19th December. The competition is open to UK residents only. Best of luck! No purchase necessary. A purchase will not improve your chances of winning. Open to UK residents only. Contest begins 5th December 2016 and ends 18th December 2016. Winner will be selected in a random drawing on or about 19th December 2016. One prize winner will be drawn. If the winner doesn’t respond within 7 days, the competition will be redrawn. Prizes must be accepted as awarded; not redeemable in cash or credit. This entry was posted on Monday, December 5th, 2016 at 9:00 am and is filed under Competitions, Fragrance. You can follow any responses to this entry through the RSS 2.0 feed. You can skip to the end and leave a response. Pinging is currently not allowed. This really is a fantastic bundle!